Looks like a quality piece! so I can act like I know what i'm talking about. where it stops nobody knows, but here's to hoping. This looks like a great piece of setup and maintenance gear. Really should be $331.30 no? Count me in. 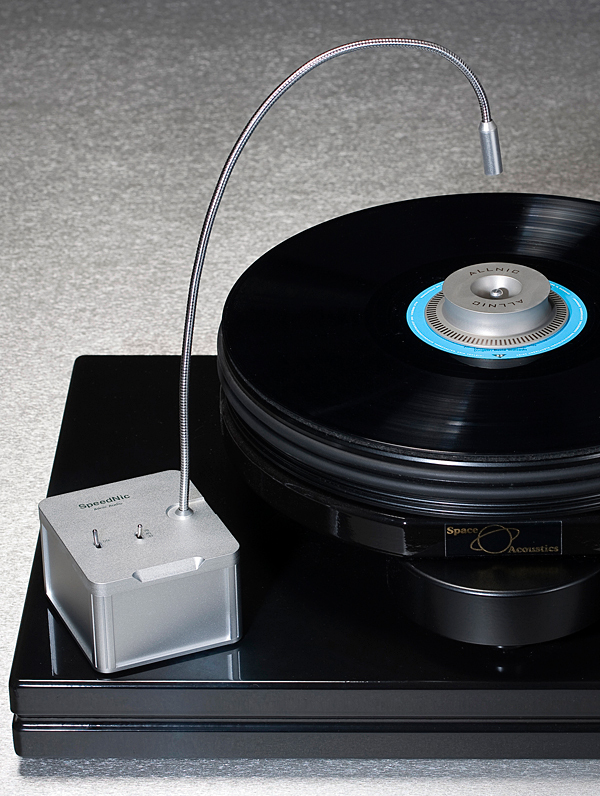 oh, imagine the look on the wife's face as I add yet another turntable device to tweak...nice. Can use one , thank you ! but it's a bit pricey for what one gets- still, I'd gladly use a free one. Sure, I'll try this out, why not? I can always purchase the Phoenix Roadrunner. Can't Wait To Try It Out On My Rig! Looks like a great accessory! There is nothing like a good strobe from time to time. Would match my JA Michell turntable color. Match made in heaven. This would be awesome on my MMF 7. Good luck, everyone. Some day I'll win something. but what does it do that can't be done for several hundred dollars less? What is the cheapest thing on a BMW motorcycle? With this I can stop having RPM debates with my turntable...I got you now! This will force me to buy a better turntable. I certainly would use it. The old paper speed strobe and flashlight is getting old. I wonder how accurate my MMF 5 SE is. What a wonderfully useful devise. Nice add to the bag of tricks! Love to add one of these to my gear! ............here's hopin' it's Texas bound. Waiting for delivery of a Thorens TD 124 so this will prove great for occasionally checking the speed. Looks like a fancy KAB strobe system without the plastic/vinyl mat. Would love it! What convinced me was the Labor Day Radiocast! Really enjoyed the Labor Day Radiocast. Sign me up for spinny thing. This looks something that can make me worry about my turntable. Does anyone know if owning one of these makes you buy a new turntable? ...I do lust to own one. A tool I don't have! to my strobe disc and test light. I've never won anything (except for a mug), so please pick me! I could use this with my old table. it will make my records go to eleven. Reminds me of my disco days! Would be great for my Traveler. It will work great with my Scout. Will I ever win one of these? Best looking strobe I've seen! Speednic. Good luck to all! This would the perfect addition to my turntable setup toolkit. Yes, it's my turn to win. This is my favorite website in the whole wide world! ...once I win, is: let's say this neat little item is employed and tells me my LPs are spinning at 33.2 - then what? How the hell will I adjust my turntable from there? Time to get Rega tech support on the line! I could not add comments the other day for some reason. This a great product. Can I have two? Since I'm in Denver, please bring it to RMAF. Then I will be able to tell for myself if a fraction of a percent in speed is really a mountain or a molehill. (My Clearaudio Performance is adjustable. My Rega has the electronic controller.) Paper strobe discs printed off the internet work OK, but have no class. None. And would somebody please loan Mr. Fremer an RP-10 so he can review it? Looks lovely, and simple to use. Yes please, count me in! Thank you. And would be very useful. And I'd love to win it! Hope I win and then get to spin. They would complement each other so nicely! And then I would be $400 ahead on the Continuum Caliburn! Looks like great piece of equipment. Nice product to see if you are up to speed. Thanks, Analog Planet and Allnic for the giveaway. Does it compensate for magnetic declination? I would like one please!! I'd love to win this! I could really use it. I've needed one of these for a long time! I have no idea what my VPI is spinning at, lol. Looks real cool. Wonder if it's made with nickel alloy. Makes my white plastic (will remain unnamed) strobe disc look inaccurate in comparison. My hovercraft is full of eels.. The first photo gave me a Huh?" kind of reaction.. the second photo and it instantly made sense.. this would sure kick the pants off the paper printout and fluorescent lamp speed verifyer I've used for years on my vintage turntables that don't have strobes and marks on the rim of the platter.. it looks loverly.. I've never won a thing from AP despite years of trying.. I promise to give it a good home. Thanks for the chance..
Definitely would be an upgrade for me. Would look good on our new Prime! I am new to vinyl. Should a record be cleaned every time it is played? How thoroughly and what tools are good for cleaning before every play? After how many plays should a record be cleaned with something like a record cleaning machine? Would love to win and use on my turntable. Looks like a great and handy tool. But nevertheoess i wish all participating all the best. I can certainly find a few uses for it... THANKS! Okay, sign me up, Scotty.